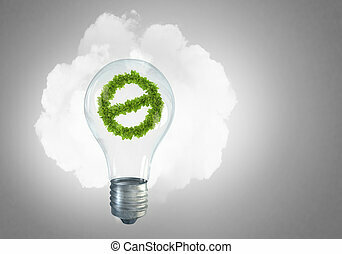 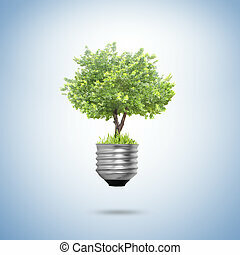 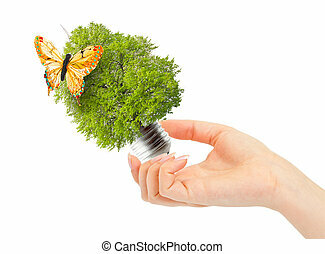 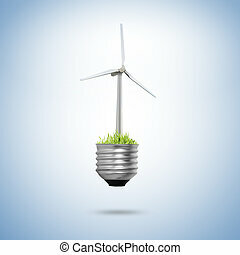 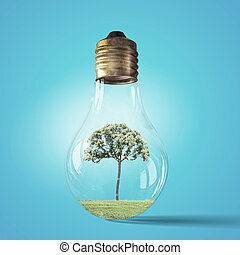 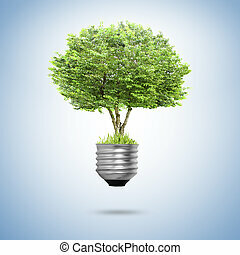 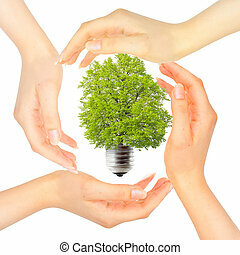 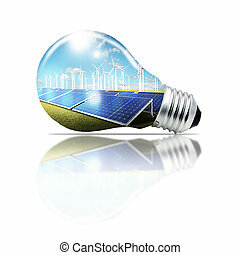 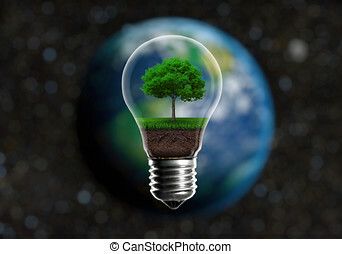 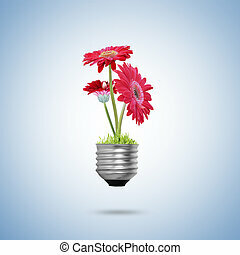 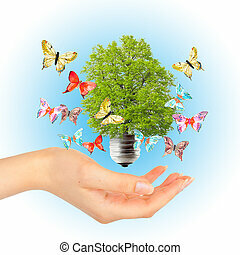 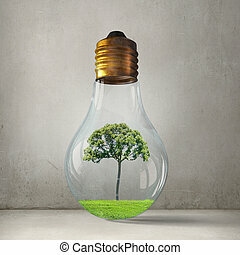 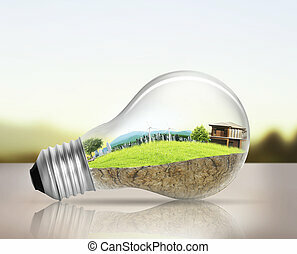 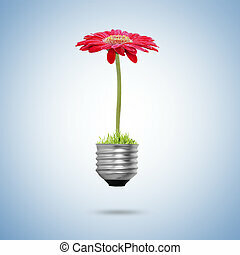 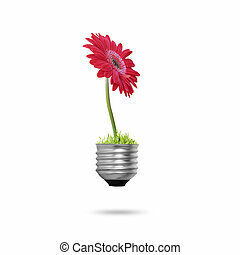 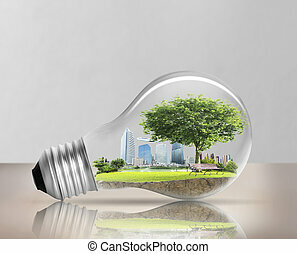 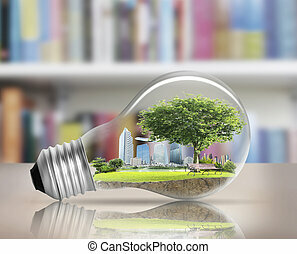 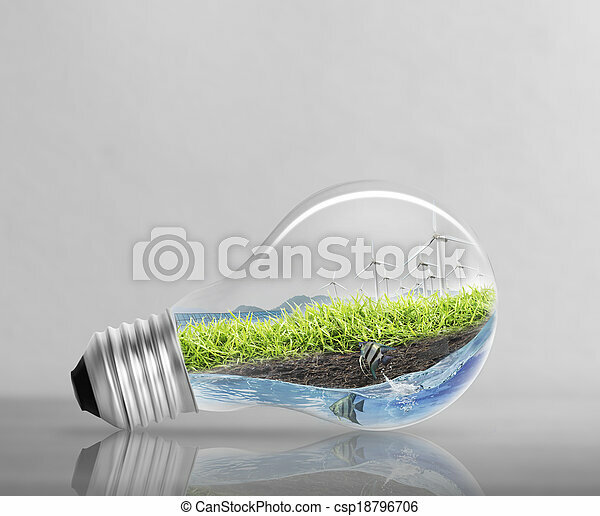 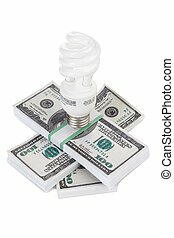 Idea ,light bulb alternative energy concept. 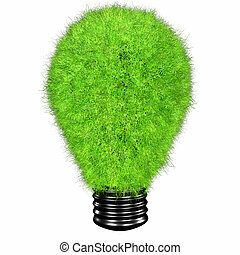 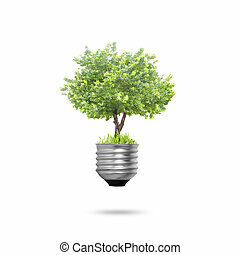 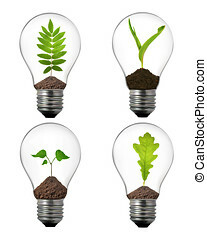 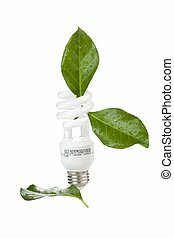 Green seedlings in a light bulb alternative energy concept, green blurred background. 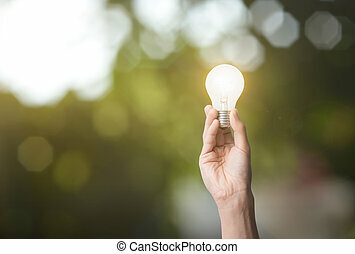 hand holding light bulb. 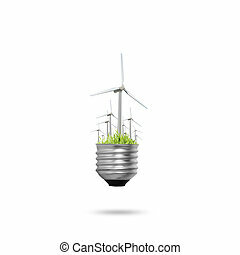 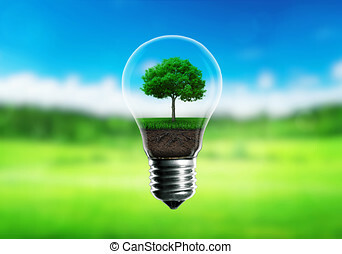 concept green energy.